The paper explores the ways girls appropriate gender through actions, gesture and talk to achieve things in primary school science classrooms. 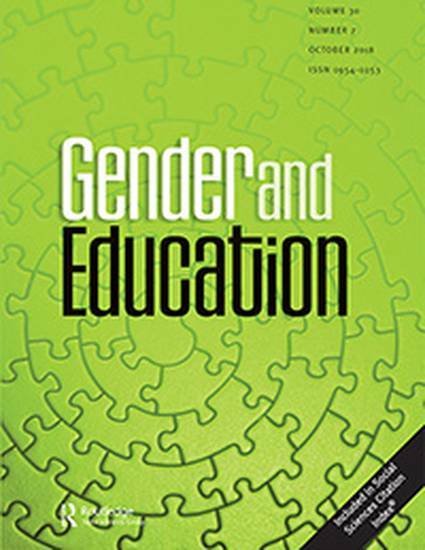 It draws on sociocultural approaches to show that when everyday classroom practices are viewed from multiple planes of analysis, historical, institutional and in the micro dynamics of classroom interaction, gender comes into view in a variety of ways and not only via dominant discourses. Focused observations and interviews were carried out in Year 3 primary school science classrooms in four schools in the UK and the USA (children aged 7 and 8 years). The paper suggests how teachers can work with gender to open up new spaces in primary science classrooms for girls. This remains a priority irrespective of the contemporary anxieties around boys’ achievement if girls are to grow up feeling that science is a legitimate arena in which to participate.